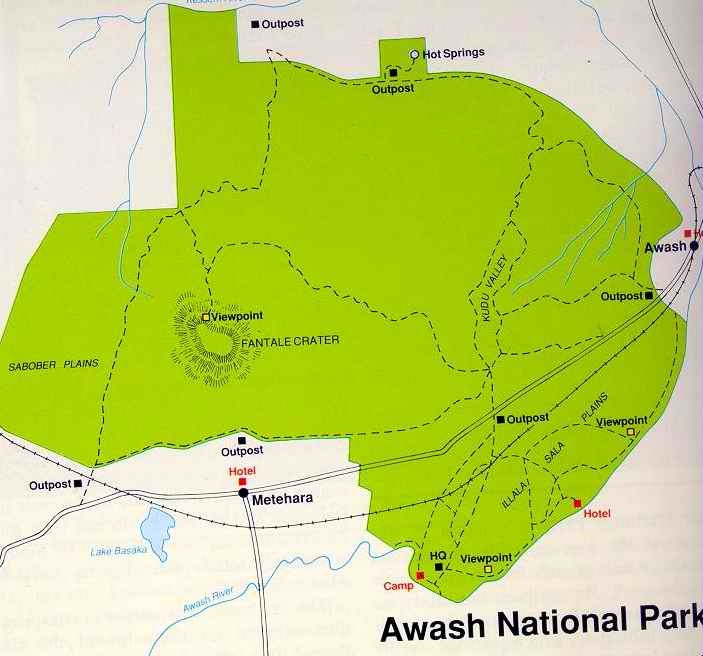 Awash National Park is Ethiopia’s oldest national park and one of the most rewarding for nature lovers. The scenery at the park is stunning and varied. The southern section boasts the spectacular Awash river gorge and waterfall, and also the Illala Sala Plains where herds of the elegant oryxes are easily spotted, as well as bee eaters, rollers and chanting goshawks. The northern section of the park has the dormant volcano Mount Fantalle and the Filwoha Hot Springs, which offers lagoons full of herons, storks and pelicans and a well-located campsite. Bush pigs are frequently seen within walking distance of the camp, and Hamaydras baboons are also present. If you are lucky, during the night you may hear the roar of a passing lion, or even the sawing cough of a leopard.